The first of the four Grand Slam tennis events is upon us and as such, Nike is dropping two colorways of the Air Tech Challenge 2 in Australian Open makeups. 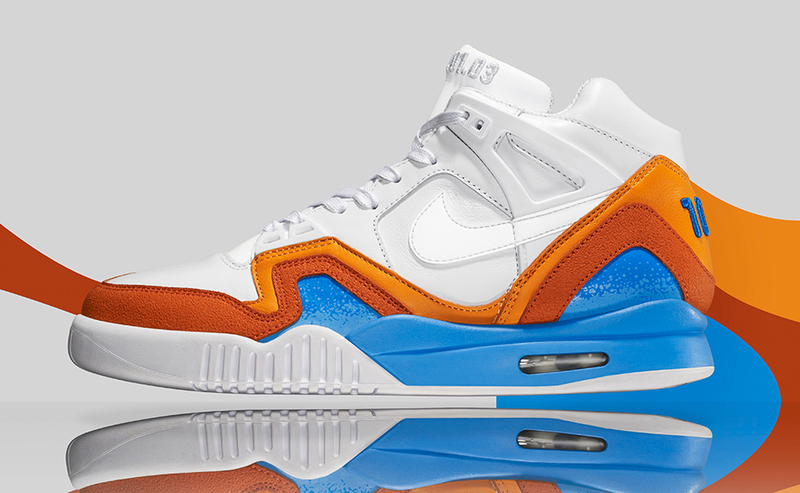 Last year, Nike dropped a single colorway featuring the colors from the Australian Open logo. This year, the colors are split, with an orange pair as well as a blue pair. Both pairs this year also have the distinctively different look compared to other Air Tech Challenge 2s, with perforated leather featured on the toe, sidewall and upper heel. Other portions of the upper features a nice suede. The shoe was notably worn by tennis legend, Andre Agassi who was the face of the Air Tech challenge line during the ’90s. You can purchase either pair of the quickstrike released Nike Air Tech Challenge 2 ‘Australian Open’ sneakers for $130 by clicking HERE.